This is the closest you’ll get to that wonderful syrup barmen uses to make mojitos. Now you can have your own virgin mojito (without the alcohol) at home. Or you can go all the way and enjoy the mojito in its full alcoholic glory. 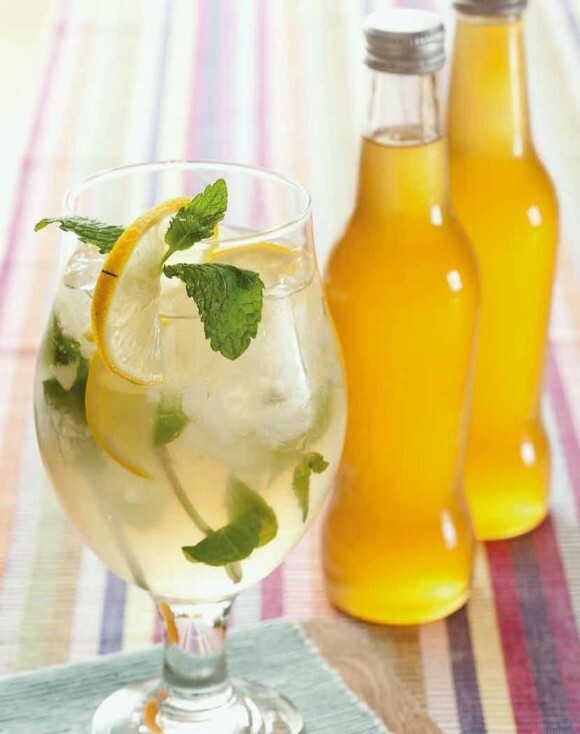 By the way, children also love this refreshing lemon drink and there is something so immensely satisfying in making your own lemon concentrate. Makes about 2 litres of concentrate. Squeeze the juice from the lemons and filter through cheesecloth or muslin. You should have 1 litre of juice. Pour the juice into a large saucepan and add the sugar. Bring slowly to the boil while stirring to dissolve the sugar. Remove the saucepan from the heat as soon as it reaches boiling point. Leave to cool down and pour into sterilised bottles. Seal and store in a cool place. HINT: Use about 3 tablespoons of concentrate to a glass, add a sprig of mint, a slice of lemon and fill up with cold water and lots of ice.